What beers are one of my favourites for the summer. They are brimming with flavour but still have a nice light mouth feel, allowing for extended patio sessions. 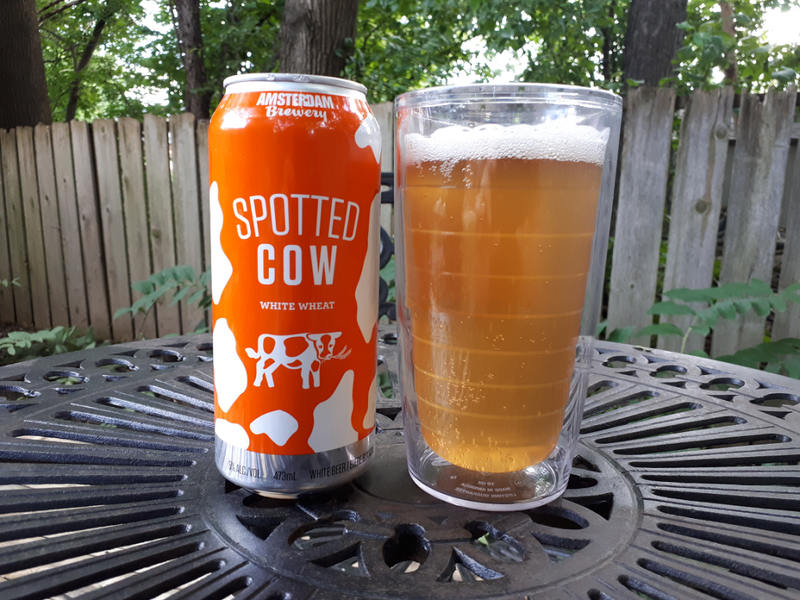 The can for Amsterdam’s Spotted Cow is instantly recognizable at the LCBO so I had to grab a can (or a few) and give it a try. Marked as just 12 IBU’s you wont find much bitterness but being a wheat you should expect clove and banana flavours to dominate. It looks like they include coriander and orange peel to liven things up a bit as well. This beer can be purchased at the LCBO for $3.15 a can and it sits at 5% ABV. Appearance: Unfiltered, dirty gold. Whit head fades fast. Aroma: Banana, green peppers, a bit of salt. Taste: Banana at first but quickly replaced with spicy wheat notes. Like chilli peppers and clove. Overall: A high quality wheat, almost comparable to Side launch. Love it. Have with barbecue chicken.